Can an Adult Child Gift Parents Money and Use It as a Tax Deduction? If you help them out enough, you can claim them as dependents. 3. If You Gave Money to Someone Can It Be Deducted Off Taxes? As adult children get older, some want to give back to their parents for all their parents have done for them throughout their lives. Even if you’re gifting from the heart, few people would complain if it allowed them to take an additional tax deduction when they filed their return. However, an income tax deduction isn’t the only thing to think about. Giving money to your parents could also trigger gift tax consequences. You can’t deduct money you gift to parents. Taxes could be due, however, because of the federal gift tax. You can’t claim an income tax deduction for money that you gift to your parents, even if they need the money. The charitable income tax deduction isn’t available for contributions to individuals under any circumstances. Worse, depending on the amount when you’re giving parents money, you’re making a taxable gift. However, because of various exclusions, it’s unlikely that you’ll actually have to pay any gift taxes on your gift to parents. The tax code contains an annual gift tax exclusion that allows you to give a certain amount of money to each person before you even have to file a gift tax return. If you are giving money to both of your parents, you can give that annual exclusion to each parent without having to file a return. If you give more than the annual exclusion, you will start using part of your lifetime exclusion before you actually have to write a check to the IRS. Only after you give all of the lifetime exclusion will you owe money for gift taxes. In 2019, the annual exclusion is the same as it was for 2018 -- $15,000 per person. So, that means you'll be able to give each parent $15,000, for a total of $30,000 per year before you have to file a gift tax return. If you give more than that, you start to use your lifetime exclusion, which is $11.4 million in 2019. For example, if you wrote your mom a check for $95,000, the first $15,000 would be covered by the annual exclusion, and then you would use $80,000 of your $11.4 million lifetime exclusion. File IRS Form 709 (United States Gift [and Generation-Skipping Transfer] Tax Return to report any individual gifts you made that were more than the $15,000 annual exclusion for the tax year. Reporting the gift does not mean that you owe tax on this money, because you still have a lifetime limit of $11.4 million before you owe a single penny of gift tax. File Form 709 by the same due date as the deadline for filing your 1040 -- April 15 (or the next business day if this date falls on a federal holiday or a weekend). Married taxpayers cannot file a joint gift tax return, so each spouse must file a separate Form 709. This allows married couples to gift a total of $30,000 per year to one parent. And if you have more than one parent between the two of you, each parent may receive $15,000 from each of you, and you won't have to file Form 709. NerdWallet: 2018-2019 Gift Tax Rates - I'm Generous, But Do I Have to Pay This? Is Paying Someone Else's Credit Card a Gift? Can I Claim My Parents as Dependents With Unearned Income? 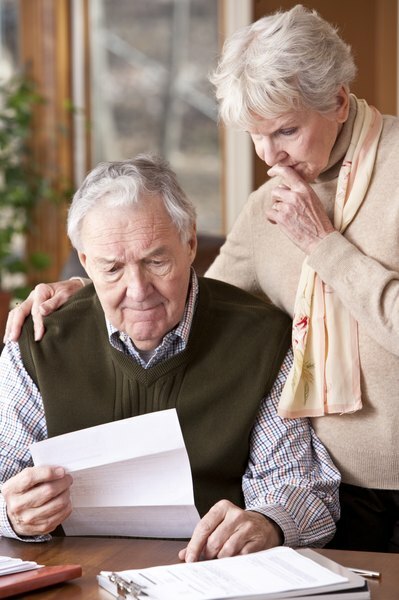 Can I Carry My Parents as a Deduction Exemption? "If My Parents Gift Their Home to Me, Do I Have a Tax Liability?"